To beat the oppressive heat we are experiencing here in Iowa, I've been spending a lot of my time in my craft room. When you have temperatures in the 90 and 100 degree range along with heat indices of 100 to 115 degrees, you definitely need to stay out of the heat. Today I was playing around with some of my Distress Oxide Inks and thought how would they look on Kraft paper? So, I cut the bird out of Kraft paper and sponged him with Fossilized Amber ink, dropped some water drops on it and patted them off with a paper towel. I love the way it looks. It definitely gave a bit of dimension to him. I did the same with the banners I punched from the Kraft paper. For those I used Fossilized Amber, Peeled Paint and Spiced Amber. The sentiment was stamped in Vintage Photo. Even the burlap paper layer has the color of Kraft. Now I'm off to do my chores and get things ready for tomorrow when a sweet friend is coming over to spend some time crafting with me. With her busy schedule, I know I'm going to totally enjoy my time with her. 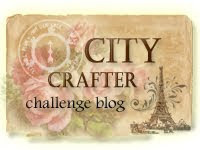 The use of Kraft paper is from City Crafter Challenge Blog. For all the challenge details and to share your project, click the image below. Thanks, Lori! It was an experiment with the Distress Oxide inks. Love this so much! 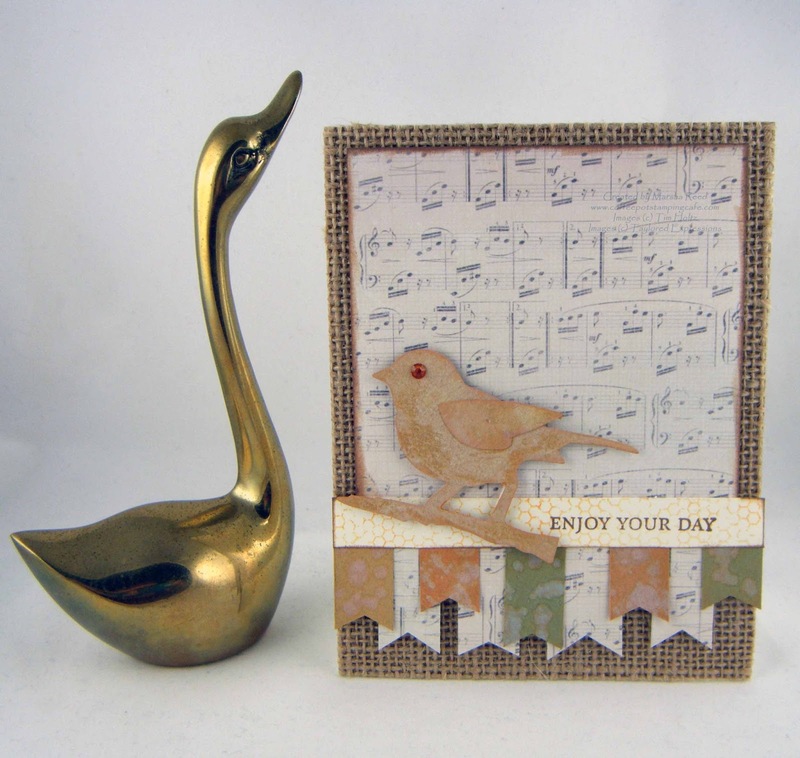 So pretty and love the music note paper along with the pretty bird... I can almost here her singing... Thanks so much for playing along with Atlantic Hearts! Thanks, Lisa! It was a great sketch. What a wonderful experiment with the Oxide inks - they look fabulous on kraft and your design is wonderful.Thanks for joining in at City Crafter. Thanks, Marina! My first time at City Crafter and I loved working with the Kraft. Love your music note background and other banner in between the note banners. Beautiful card. Thanks for sharing with AHSC this past week. Greetings from a fellow Iowan!!! This is a great card, Sue! You are right, those oxide inks made for a very interesting little bird. I love the colors you chose and I love seeing burlap on a card. 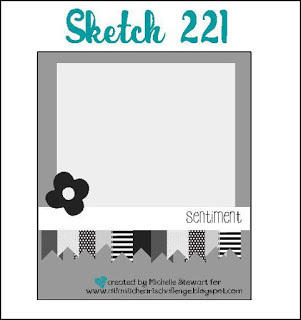 Great use of the sketch and thanks for sharing with us this week at AHSC. Thanks, Annette! Those inks are so much fun to play with.